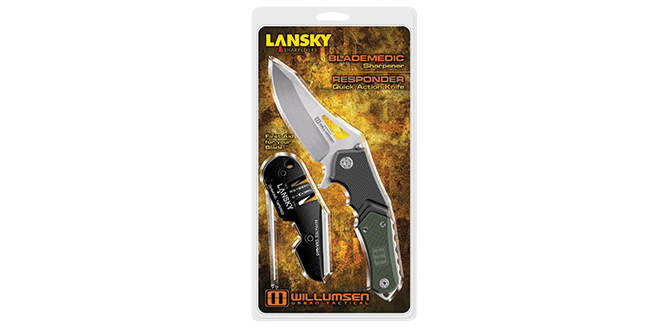 The Responder Knife/Blademedic® combo pack from Lansky Sharpeners ensures users always have a sharp knife at hand. The kit combines Lansky Sharpeners’ bestselling everyday carry knife with a top-of-the line sharpener. The 7-inch Responder knife weighs 6 ounces, and has a nylon handle. The Blademedic features diamond, ceramic rods, carbide tips and mini ceramic benchstone sharpening elements, all included in one tool.